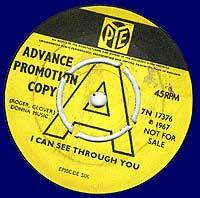 Roger Glover was a founder member of Episode Six in July 1964. The first line-up was: Sheila CARTER / organ.vcls; Graham CARTER / rhythm gtr; Andy ROSS / vcls; Roger GLOVER / bass; Harvey SHIELDS / drums; Tony LANDER / lead gtr. 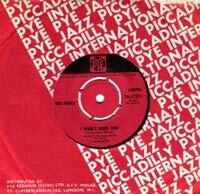 Ian GILLAN joined in May 1965 just before they signed to Pye Records. The band's first single was both Gillan and Glover's recording debut..
John Kerrison replaced drummer Shields in September 1967 for the Little One single. The band was briefly renamed The Episode in early 1968. 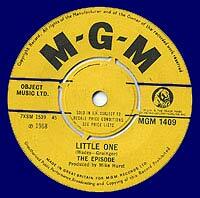 In July 1968 Mick Underwood joined on drums (he was earlier with Blackmore in The Outlaws). This line-up reverted to their full name. Gillan and Glover joined Deep Purple in June 1969. Gillan and Glover's recording debut. B-side written by Glover. 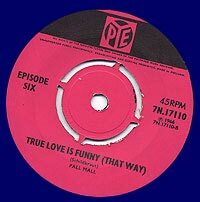 Rec : May 10/11 1967. 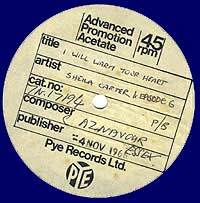 A-side vocals Gillan / Shields, b-side written & sung Glover. 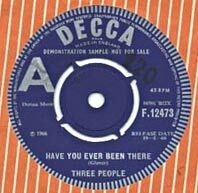 Rec : July 3/4 1967. A-side written by Glover. Rec : Feb 20/21 1968. B-side written by Gillan/Glover. Rec : Sept 3 1968. B-side written by Gillan/Glover. Rec : Dec 20 1968. 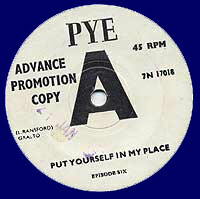 A-side arranged and b-side written by Lander. Instrumentals. All singles exist with regular labels, advance demo labels, and acetates. Examples are illustrated below. The band began work on an album called The Story So Far in April 1969 but this was never finished. Episode Six played on it, Ian Gillan playing organ on the b-side. I WON¹T HURT YOU / U.F.O. inc. GENTLEMEN OF THE PARK by Episode Six. 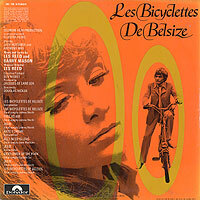 Soundtrack to two films, TWISTED NERVE & LES BICYCLETTES DE BELSIZE, one on each side. 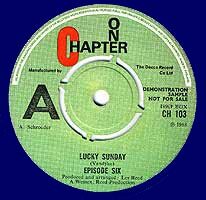 Episode Six contributed one song to Les Bicyclettes. The album is very rare, sought after for the Twisted Nerve music by Bernard Hermann collectors.